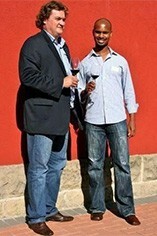 Bruwer Raat started Raats Family Wines in 2000. Having carved out a reputation as a New World leader in the production of Chenin Blanc and Cabernet Franc, Bruwer crafts soil-specific wines that embody the unique characteristics of the Stellenbosch wine region. 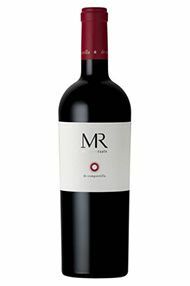 Amongst the Raats portfolio, Bruwer makes a wine called Mvemve Raats (MR) de Compostella, a collaborative venture with his friend Mzokhona Mvemve that began with the 2004 vintage. Just one wine is made each year: a Bordeaux blend. The composition changes, because they both taste through barrels and only those that score 90-plus when sampled blind make it to the final blend. This Stellenbosch specialty is a Bordeaux blend of sorts, with more than a twist of South African charm. The leafy, blackcurrant nose gives us a fine, early view of this fresh, vibrant wine. There are typical South African red peppers and ripe fruit on the mid-weight palate, and more than enough tannin and acidity for a decade in the cellar. The wine is made from 41% Cabernet Franc, 19% Cabernet Sauvignon, 17% Malbec, 14% Merlot and 9% Petit Verdot. Each of the varieties are vinified and aged separately over 12 months in barrel before a careful selection process for creating the blend, followed by another 12 months in barrel. This is a newer style of classic varieties from Stellenbosch.